Charlie Patricolo is a talented cloth doll maker and fiber art instructor. She is thrilled to do work that she loves and recognizes this as a gift. Charlie’s affinity for dollmaking began as a teenager working for a fabric store. She made a few dolls using patterns and offering as gifts, but put the craft aside as she began a career in the technology field. 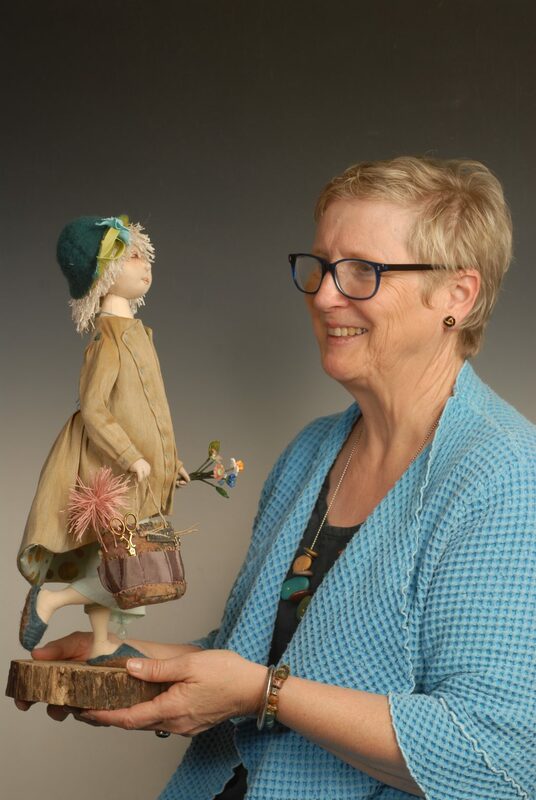 After taking an early retirement from her job and taking a class at John C. Campbell Folk School in Brasstown, North Carolina, she began to teach the art of dollmaking and sought out galleries to sell her work. She was accepted into the Southern Highland Craft Guild in 2002 and was accepted into the Original Doll Artist Council of America, which has inspired her to produce a more diverse set of work.